I was in Paris and stayed at Oceane and Cécilia's flat for a day. We went to see the Hugo Pratt exhibition at La Pinacothèque museum, it was really nice to see all those original watercolors. The permanent exhibition is something to see as well. 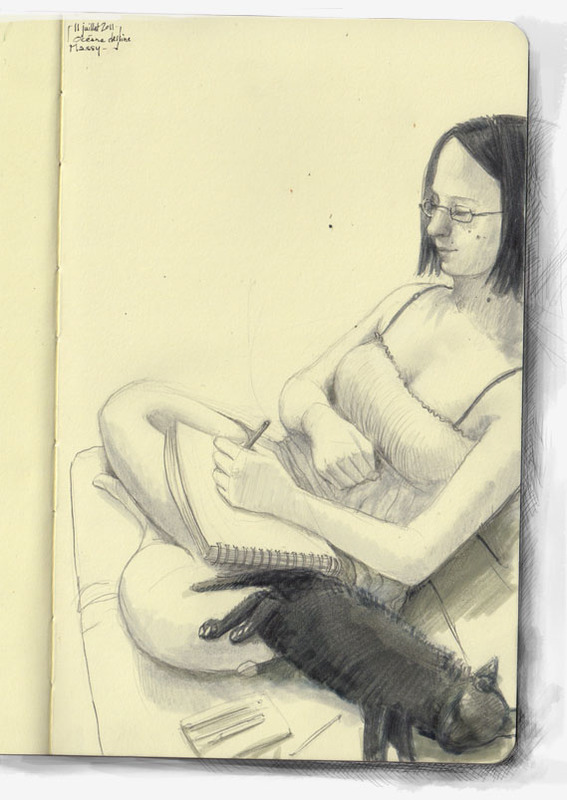 Then at night, even though very tired, it was great to sit altogether, drawing. Below is Océane doing her "Spread the Love" drawing. The cat was long gone after I started the sketch, so I had to improvise, he's really wonky looking.